The Wave™ wine stopper lets you enjoy a bottle of wine without some of the unpleasant side effects, while simultaneously aerating the wine. This product removes histamines and sulfites, which are found in most wines and can cause reactions like congestion, red cheeks, and a headache. 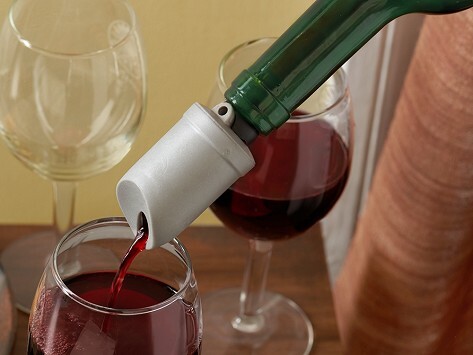 It won't affect your wine’s flavor and it is portable, easy to use, and disposable.